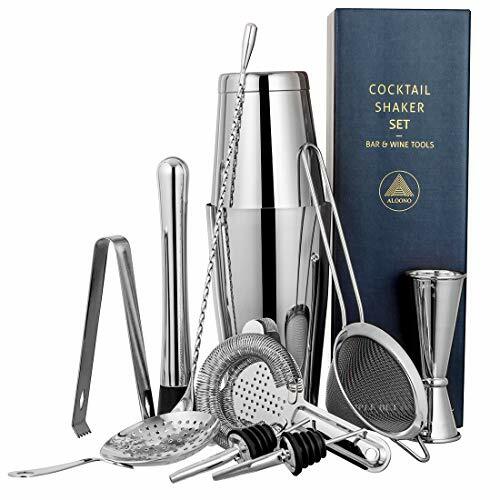 SUPERIOR QUALITY: Made of food-grade 304 Stainless Steel, this boston shaker set is weighted and thickened to make sure that it will not bend, break, rust or warp, totally durable for high volume bars and home bars. Dishwasher safe for home or commercial dishwashers. WHAT YOU GET: 18 and 28 oz shakers, hawthorne strainer, julep strain, conical strainer, jigger, cocktail muddler, bar spoon, ice tong and 2 liquor pourers.